A Jillian Vance Design: The Mr & Mrs.
We have friends that are getting Married TONIGHT!!! Congrats to Mr and Mrs. Chris Johnson! 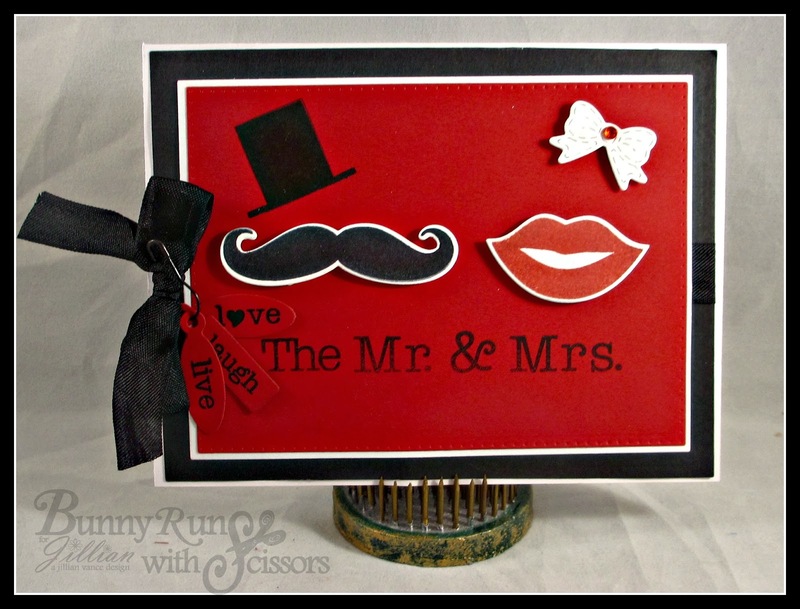 So this is the card I made for them using Mr. & Mrs. Moustache Too Stamp Set! A simple but elegant wedding card. Our Backdrop dies give us that beautiful matted look! I love it! 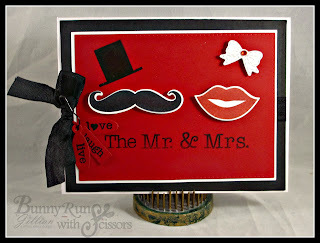 Stamped the moustache and top hat in Ranger Archival Jet Black ink and the Lips in Ranger Wendy Vecchi Red Geranium ~ love that color! The die cut with AJVD Moustache and Lips dies! The Bow is from our new Buttons & Bows Die set! Tiny tags pinned on with a black Pear Pin top off the look! Thanks for stopping by today, and Best Wishes to Chris and Tahrea for a happy life!